A derived class is a Java class that inherits properties from its super class. For example, an Employee class might be derived from a Person class. Therefore the Employee class could inherit first name and last name properties from Person, its super class. 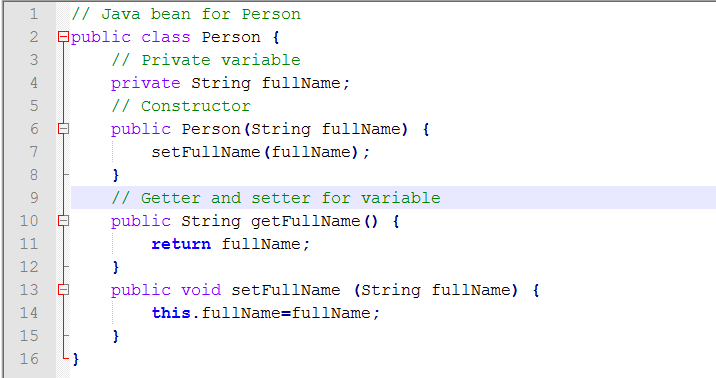 The following eight steps show how to write a derived class in Java. The program defines one property: fullName. This property will contain first name and last name. Notice that the program follows the Javabean specification for defining a property, i.e., a private variable with getter and setter methods. Save your file as Person.java. Open a command prompt and navigate to the directory containing your Java program. Then type in the command to compile the source and hit Enter. The Employee class defines one property: empId. This property will contain the employee ID. Notice that the constructor calls the constructor in the super class (Person). The full name parameter is passed to the constructor. Save your file as Employee.java. Return to the command prompt, then type in the command to compile the source and hit Enter. The program instantiates an Employee object and then calls the getFullName method. This method is located in the Person class. 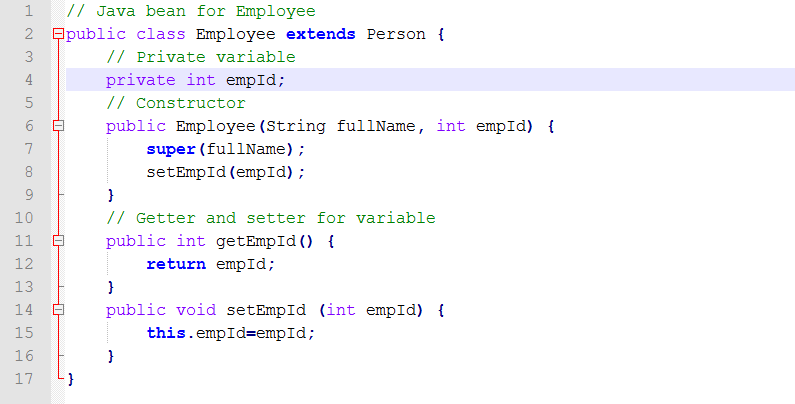 The method can be called from the Employee object, verifying that derived classes inherit super class methods. You will now test your program. Type in the command to run the Java runtime launcher and hit Enter. Notice the output of the program verifies that a method in the super class can be called using the derived class.